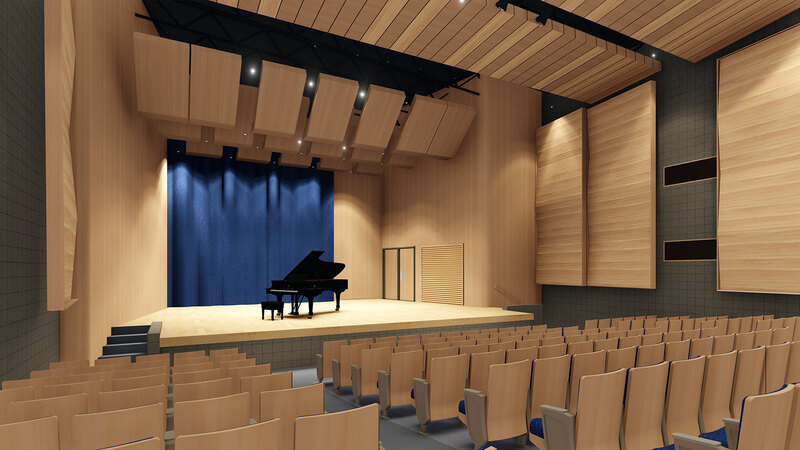 Renovation of the almost 50-year-old performance spaces includes new seating, new lighting and recording equipment, and improved ceiling and wall acoustics. 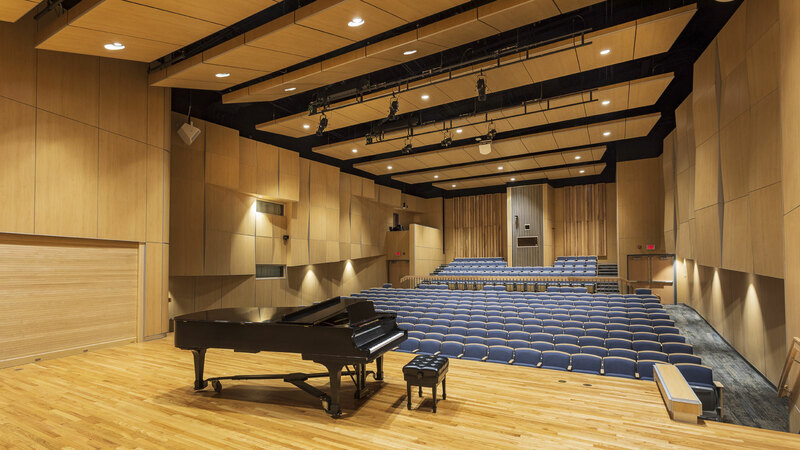 Since its construction as part of the Augustana University Humanities Building in 1971, Kresge Recital Hall has been the campus’ key performance area. 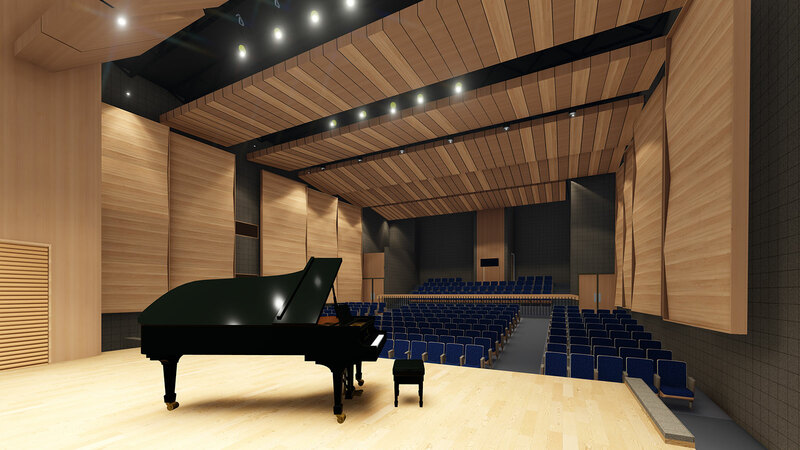 The recently renamed Hamre Hall got a refreshed look to celebrate its new identity. 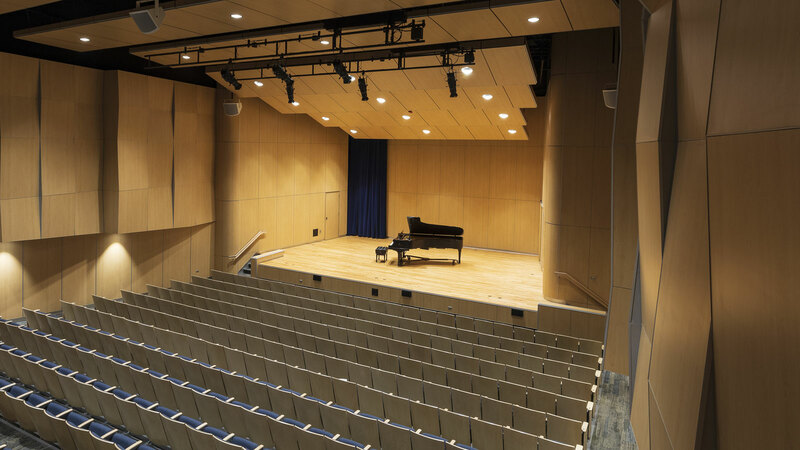 The renovation included an entirely redesigned seating layout and new chairs, new house lighting, improved stage accessibility, a state-of-the-art sound system with recording equipment, and updated ceiling and wall acoustics for sound buffering. 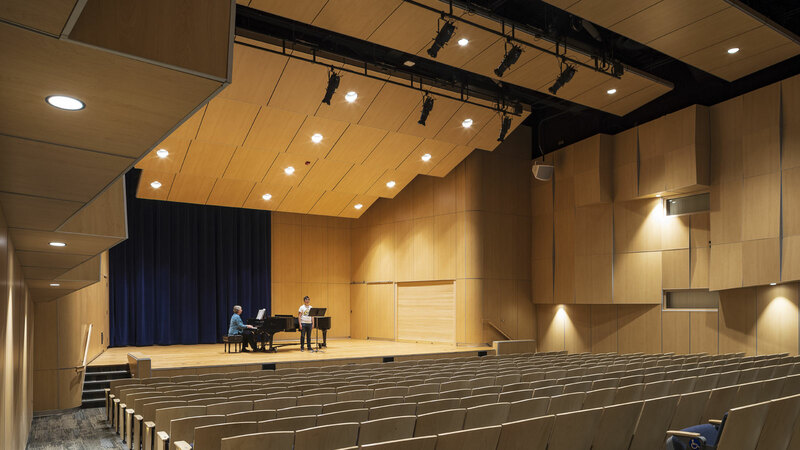 Aesthetic upgrades included blonde wood and blue accents that highlight the University’s Scandinavian heritage. Chase Kramer, who graduated from Augustana in 2008, was the project’s lead architect. 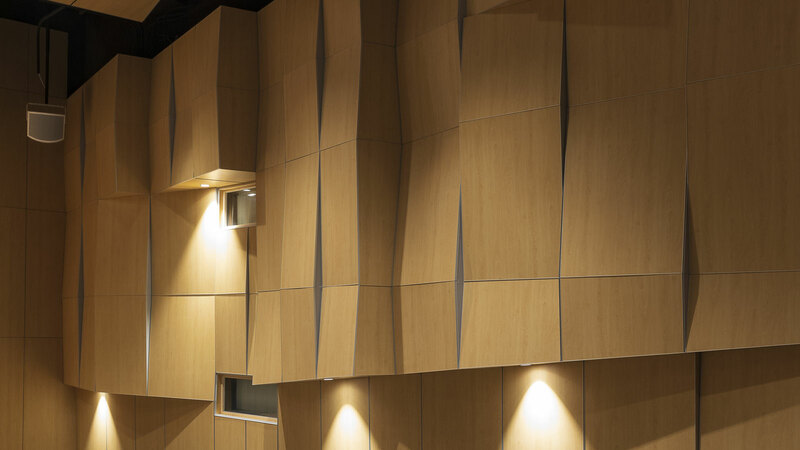 The project is one component of a larger TSP-designed effort that includes remodeling 14 classrooms within the Humanities Building.